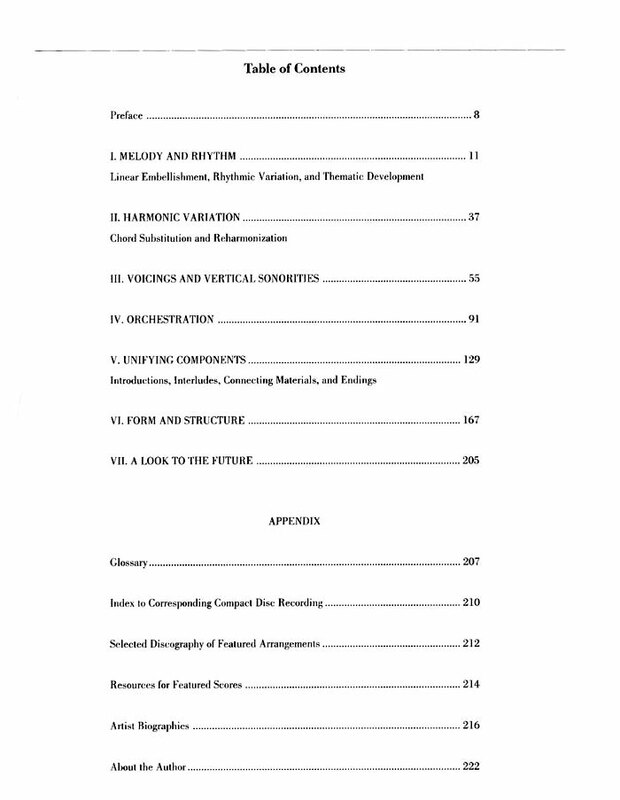 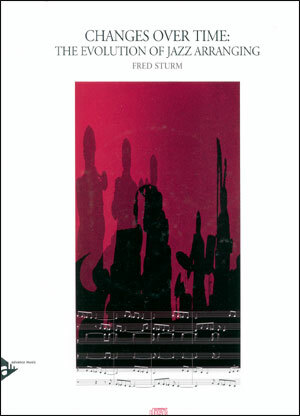 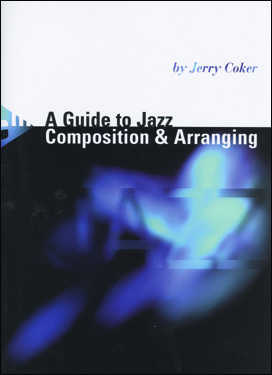 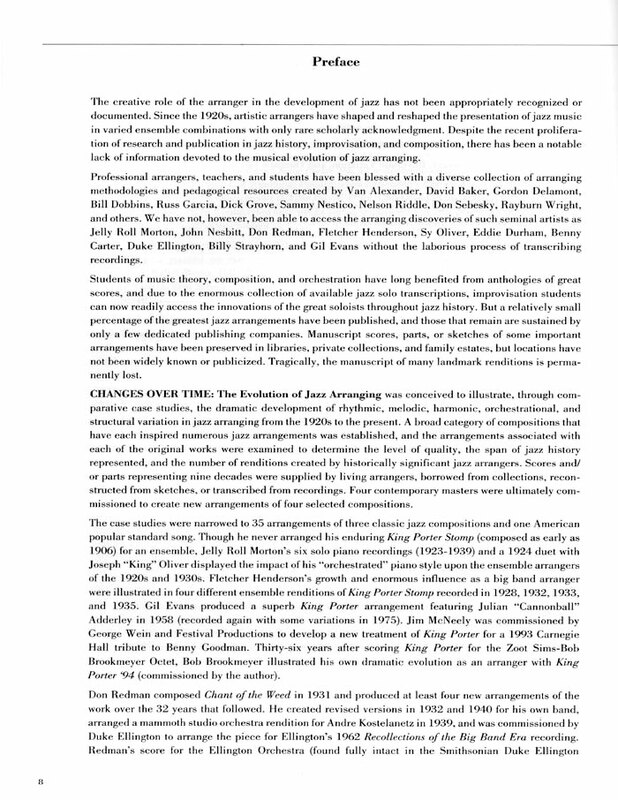 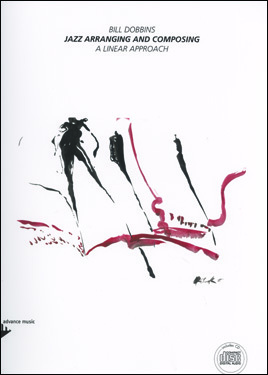 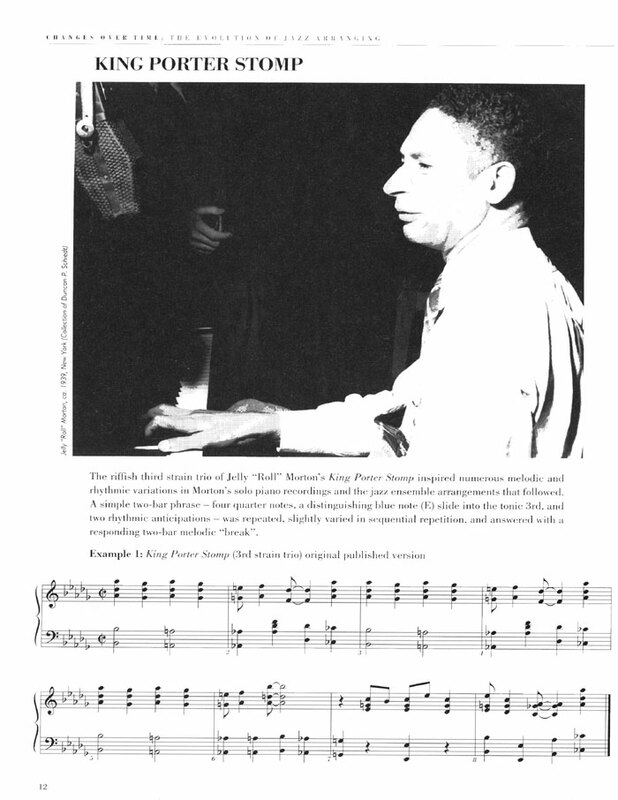 Conceived to illustrate, through comparative case studies, the dramatic development of rhythmic, melodic, harmonic, orchestrational, and structural variation in jazz arranging from the 1920s to the present. 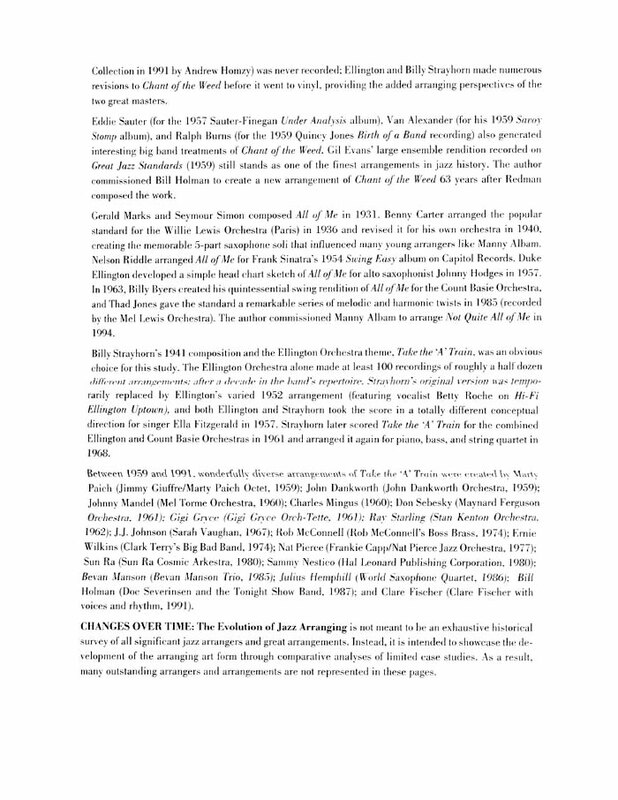 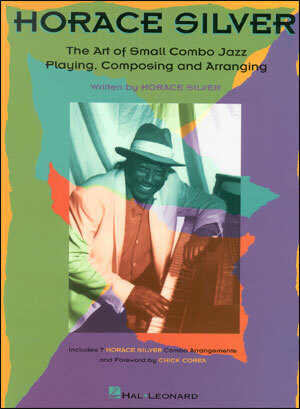 A broad category of compositions that have each inspired numerous jazz arrangements was established, and the arrangements associated with each of the original works were examined to determine the level of quality, the span of jazz history represented, and the number of renditions created by historically significant jazz arrangers, including Don Redman, Fletcher Henderson, Benny Carter, Duke Ellington, Billy Strayhorn, Gil Evans, Thad Jones, Bill Holman, Bob Brookmeyer, and Clare Fischer. 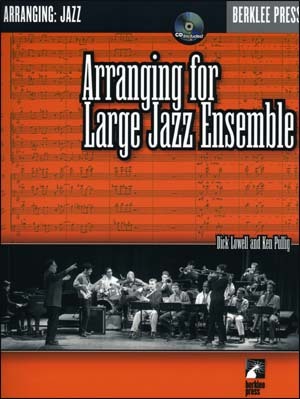 The case studies were narrowed to 35 arrangements of three classic jazz compositions and one American popular standard song. 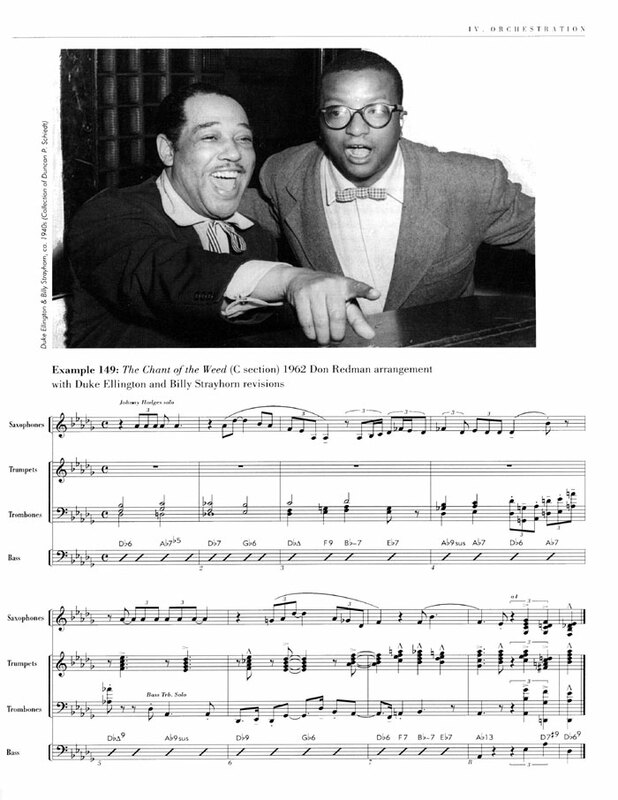 Jelly "Roll" Morton's "King Porter Stomp"
Don Redman's "Chant of the Weed"
Gerald Marks' and Seymour Simon's "All of Me"
Billy Strayhorn's "Take The "A" Train".